PAINTBALL MASKS FOR AIRSOFT? VALKEN PROFIT REVIEW! 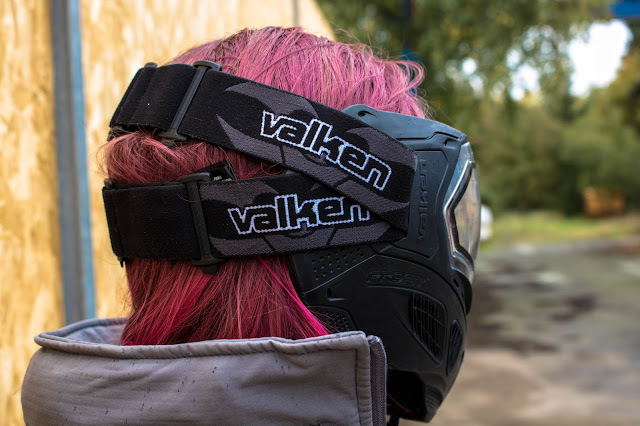 So today I’m back with another review for Valken and in this review I’m going to be testing their Profit SC paintball mask! 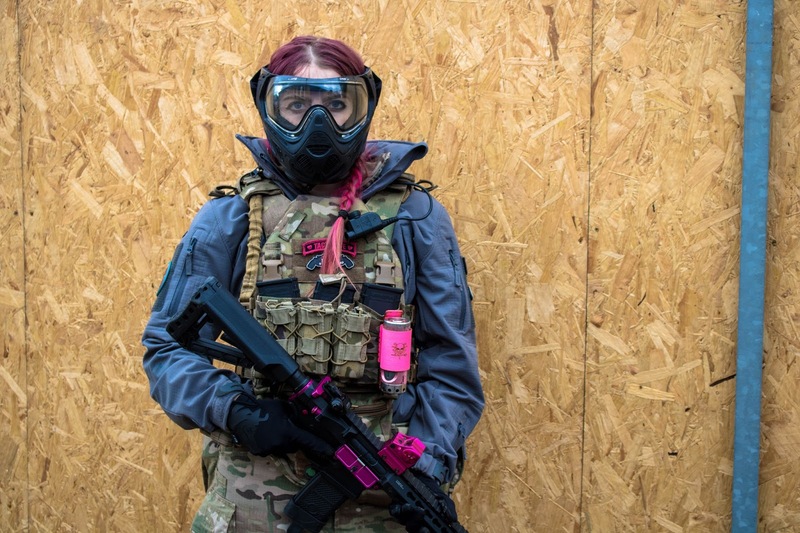 Now I know a lot of you out there hate everything paintball, but hear me out! Whilst I was in the States I used a paintball mask whilst playing CQB as the FPS limits were a fair bit higher than ours in the UK and it was comfy, didn’t fog, gave me good vision and kept my face protected. 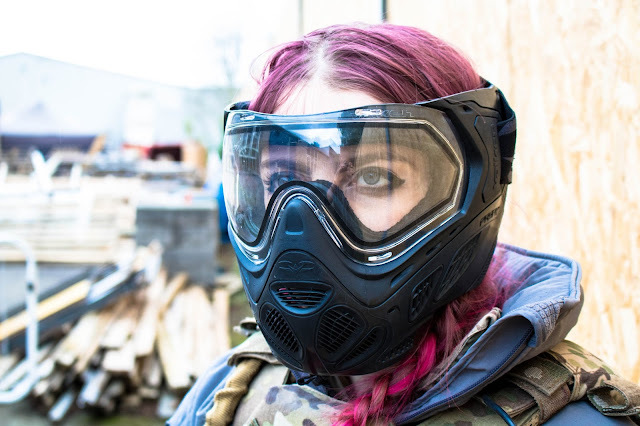 Now although I have never been a huge fan of paintball masks, using one did change my mind so I am open to trying different models. 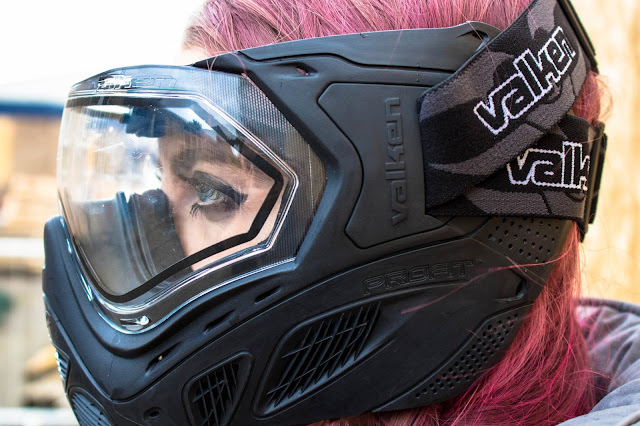 Let’s first talk about the specs: the Valken Profit SC has an extreme vision, fog resistant thermal lens that features a scratch resistant coating. The lens has a patented quick change lens system and there is also a “Snap Click” replaceable triple layer face foam system. The mask has a fully adjustable dual head strap which keeps the mask secure on your face, and a comfort fit chin strap for improved fit / safety, although honestly, I can’t really tell what difference this makes when the mask is on. I wore my Profit mask for a game day of hard hitting CQB at a local airsoft site to test a number of things – vision, fogging, cheek weld, fit and overall protection. In regards to fit, I have a very small head and the dual head strap adjusted enough to give me a secure fit – with no wobble or movement whilst I was running around. For overall protection, I really rate it – I actually think these masks provide a level of confidence in CQB as you know if you pop your head around the corner being shot won’t hurt/cause any damage. What was the cheek weld like? 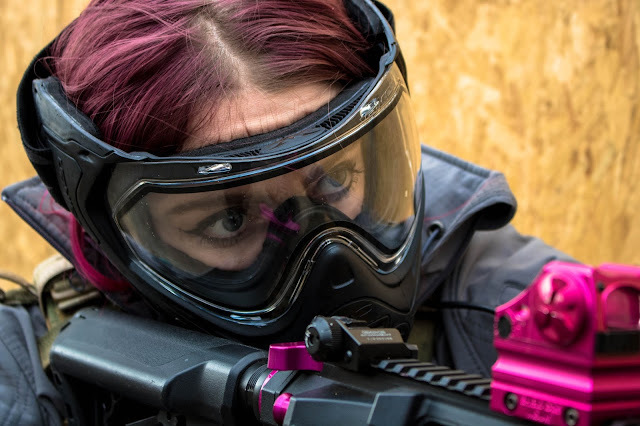 This is my only gripe with paintball masks, you can’t quite get the cheek weld you get with a half mesh face lower. Although you don’t really need to use a RDS in super close CQB it is nice to have that sight picture. The sides of the mask are more flexible and do allow for manipulation just not enough for me to use my RDS as I usually would. Did it fog? I ran the mask for most of the day as is and there were no signs of fogging which is awesome! This is one of the main reasons why I like wearing one. Just out of curiosity however I did put the rain vent cover over the vents at the top of the mask and ran it for a game and it did start to fog – not too much but enough to impede my vision slightly. So my advice would be unless it’s really heavy rain, give the vent cover a miss. The Profit SC mask is available from the Valken website for $99.95, which works out to about £76. It is available in 3 different colour ways – blue, black and red. I opted for the black colourway as it’ll go with more of my loadouts. SPECNA ARMS SA-C04 CORE CARBINE REVIEW! VALKEN TACTICAL ZULU GLOVE REVIEW! VALKEN V-CAM TANGO COMBAT PANTS REVIEW! WEST MIDLAND AIRSOFT: HIGH COMMAND REVIEW!